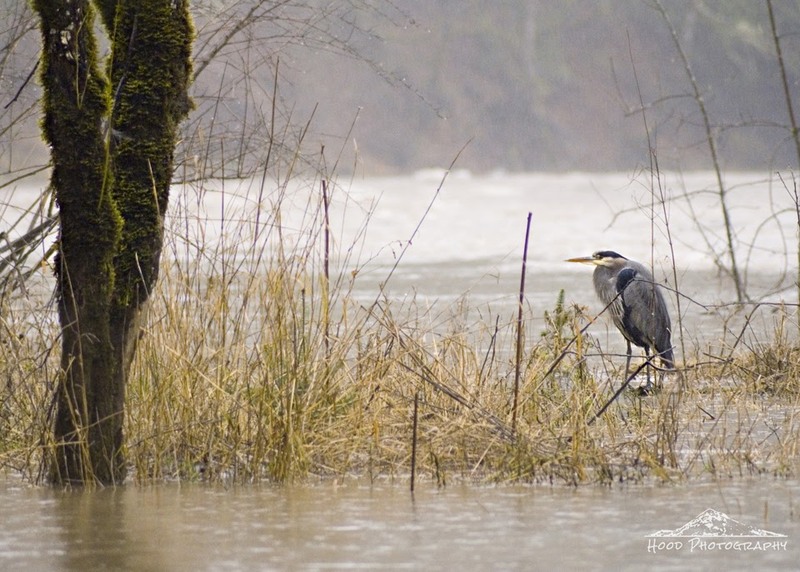 When I visited the Sandy River last week to witness the swell of the floods, I happened upon this gorgeous crane huddled down while standing in the flooded water. He was very content sitting there while I snapped away. About 2 hours later when I left the area I noticed he had only moved about 10 feet away. Must be a great spot! Great find and nice shot!